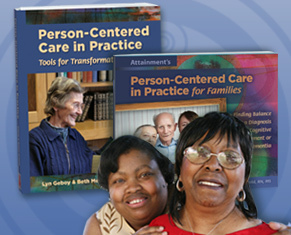 ERSB Curriculum Plus has 26 progressive levels with five structured lessons each. Lessons follow an eight-step activity sequence, which includes identifying, blending, and segmenting sounds; decoding words; reading sight words and connected text; and answering comprehension questions. In addition, students use a writing journal to reflect on what they learned in the level. Students progress at their own pace, moving to the next level when they show mastery for three consecutive lessons. 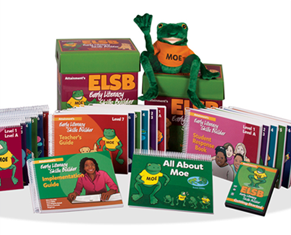 ERSB Curriculum Plus includes everything you need to teach a multiyear literacy program. ERSB iPad App and ERSB Software are also available separately. ERSB's development and research were supported by an SBIR grant, shared between Attainment Company and the University of North Carolina at Charlotte. 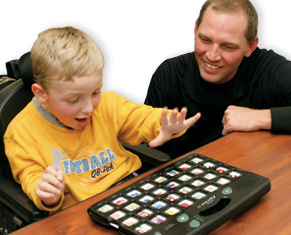 The first study focused on learning phonics with an AAC device. 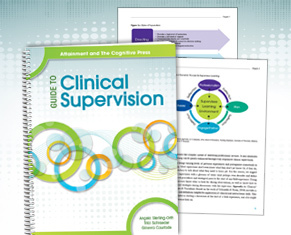 The second study used a randomized control protocol. The ERSB group had a significant interaction effect for letter-sound correspondence, decoding, and total scores. Find out more on the Samples and Support tab under the Research label! By Diane Browder, PhD, Lynn Ahlgrim-Delzell, PhD, and Leah Wood, PhD. All books spiralbound, ©2015. Champion Readers Book 1, 100 pages, Book 2, 100 pages, Book 3, 112 pages, Book 4, 112 pages, Champion Writer, 134 pages, Teacher's Guide, 298 pages. Ahlgrim-Delzell, L., Browder, D. M., & Wood, L., (2014). Effects of systematic instruction and an augmentative communication device on phonics skills acquisition for students with moderate intellectual disability who are nonverbal. Education and Training in Autism and Developmental Disabilities, 49 (2), 517–532. Ahlgrim-Delzell, L., Browder, D. M., Wood, L., Stanger, C., Preston, A., & Kemp-Inman, A (2014). Systematic instruction of phonics skills using an iPad for students who are AAC users. Journal of Special Education, 50 (2), 86–97.